CF-12 Ultrasonic Coupling Fluid Reliability Direct, Inc. Your Direct Source for Reliability, Maintenance, Test & Measurement! 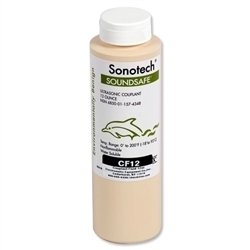 CF12 coupling fluid is an environmentally benign couplant that is used to create an ultrasonic couplant between the probe and material to be measured. Optimal transmission requires that an ultrasonic couplant have no air bubbles that can reflect, scatter, and attenuate sound waves.